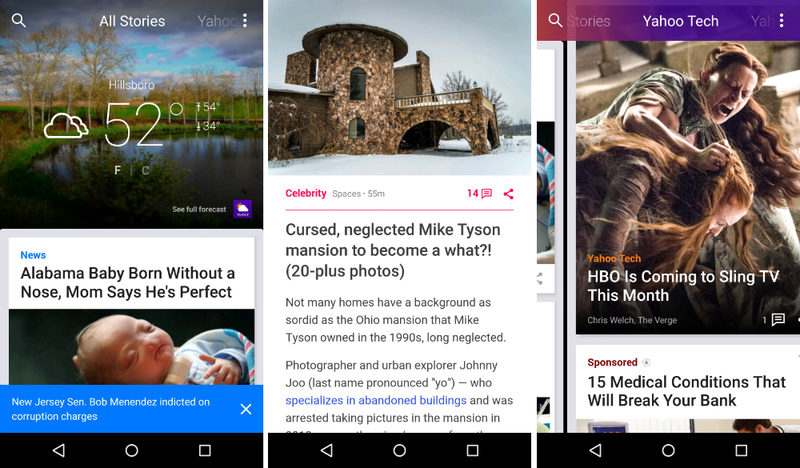 The official Yahoo app for Android received a major update in Google Play this week, bringing with it a completely new look. With the updated aesthetic, which now matches that of iOS, users can swipe left or right through various topics, such as Tech, Sports and Politics, with quicker discovery time of articles you have yet to read. Once you have a topic you like, users can then dive deeper into each section, exploring stories, and also cast votes for random things through Yahoo’s polls. Yahoo has also added interactive features, such as photo slideshows, as well as image sliders, which are all the rage now across the web, to make their 12 digital magazines that much more engaging. The one featured below in the brief view is of Yahoo Style. If Yahoo is still something you enjoy, as we all did once back around Y2K, then have at it.